Jenny finally got her package over the weekend, so I can finally let everyone else have a nosey at what I decided to send to her. I think most these things along would make great little presents to send home as gifts. I'm particularly obsessed with Artbox's animal shaped toothbrushes! -Daiso products: From nail wraps, stationary, stickers, face masks and a cute, kitten faced eye mask. -Etude House: I couldn't resisit their candy cane shaped lip tint. 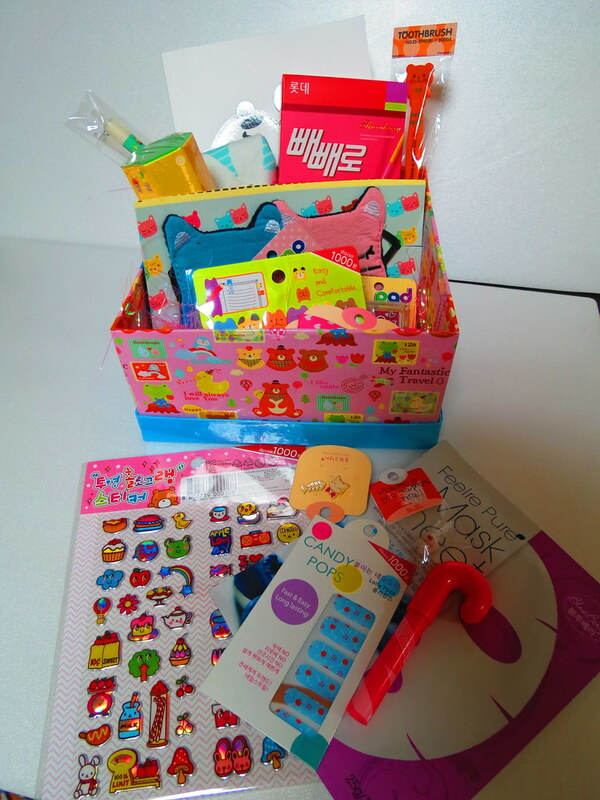 -And lots of random little bits including Peppero, earrings and phone toppers. Thanks to everyone that entered and I hope Jenny enjoys all of her gifts!